Legendary Australian journalist John Pilger will be introducing a selection of documentaries at two Sydney venues for 12 days from Wednesday November 28th to Sunday December 9th. A collaboration between the Museum of Contemporary Art (MCA), Circular Quay, Sydney and the Riverside Theatres, Parramatta, the festival presents 26 landmark documentaries selected by John Pilger, including a retrospective of his own work. The programme includes the long banned The War Game by Peter Watkins, Edward R. Murrow‘s Harvest of Shame and Peter Davis‘ Hearts and Minds. John is a long-time dissident journalist who has incensed the powers-that-be with his hard-hitting investigative reporting. John Pilger grew up in Sydney, Australia. He has been a war correspondent, author and film-maker. He has twice won British journalism’s highest award, that of Journalist of the Year, for his work all over the world, notably in Cambodia and Vietnam. He has been International Reporter of the Year and winner of the United Nations Associated Peace Prize and Gold Medal. For his broadcasting, he has won France’s Reporter Sans Frontières, an American television Academy Award, an Emmy, and the Richard Dimbleby Award, given by the British Academy of Film and Television Arts. In 2003, he received the Sophie Prize for ‘thirty years of exposing deception and improving human rights’. He has also won the Sydney Peace Prize in 2009 and The Order of Timor-Leste in 2017. Of mixed German and Irish descent, he was raised in the Australia of the 1940s and 1950s under the Liberal Party Premiership of Robert Gordon Menzies. 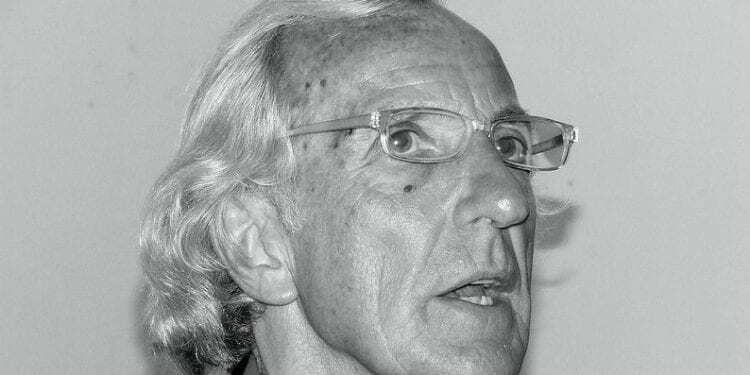 Pilger was a cub reporter at the Sydney Sun and then at eighteen he worked at the The Daily Telegraph (Sydney) for four years where he was a reporter, sports writer and sub-editor. Like many young Australians he came to Britain in the 1960s. He had spent a year in the equable climate of Italy and arrived in London wearing only a thin jacket with his first consideration as he put it “to leave England for somewhere, anywhere that was warm”. Coming penniless at the age of twenty-three he could only rent a small room which he called “an igloo in Earls Court”. The bitterly cold British winter of 1962-1963 was called `The Great Winter` and was definitely not for a sun loving Aussie. Fortunately, John stayed and after short spells at BUP (British United Press) and Reuters he joined the Daily Mirror, Britain’s largest circulation newspaper, in 1963. He was interviewed by the Mirror’s assistant editor Michael Christiansen who grabbed his arm and shouted: “You’re just what we want, an Australian!” He asked what John did best cricket-wise and Pilger replied: “I bowl, I spin bowl.” He was then introduced to the features chief sub-editor who made him his assistant in charge of television programmes, gardening, fishing and pets. John’s career in British journalism had begun. Actually, he wasn’t that keen on the noble game and smitten by conscience he wrote a craven note to Christiansen: `Sorry, I don’t know a damn thing about cricket. Does this mean a record short innings on the `Mirror`? ` Fortunately, his honesty did not go against him and he began writing for a paper with a readership of 14 million, at that time about a quarter of the British population. Throughout the next twenty or so years, Pilger became the paper’s star reporter, particularly on social issues such as the Thalidomide tragedy. This horror drug, which causes serious birth defects, was marketed by Distillers (now Diageo) in the United Kingdom. It was licensed in 1958 and withdrawn in 1961. In Australia the drug’s manufacturer, Grünenthal, fought to have the case heard in Germany. However, in February 2014, the Supreme Court of Victoria endorsed the settlement of $89 million AUD to 107 victims of the drug in Australia and New Zealand. As chief foreign correspondent for the Daily Mirror he went on to report from many countries, notably Vietnam. His 1970 documentary `The Quiet Mutiny` was about the collapse of morale in the young conscripts of the US Army in South Vietnam. The film which was broadcast under the documentary `World in Action` banner drew a furious complaint from the US Ambassador to Britain Walter Annenberg who was a close friend of the then US President Richard Nixon. Many of his later documentaries have similarly ruffled feathers such as the 2002 `Palestine is Still the Issue` which so enraged the powerful US Israeli lobby that Pilger was receiving death threats at the rate of one a day. Both of the aforementioned film documentaries will be screened at the festival. John will be there in person at the opening keynote at the Museum of Contemporary Art, Circular Quay, Sydney on Wednesday 28th November at 6.30pm. There will then be a screening of `The Quiet Mutiny`. He will be present at the showing of several other documentaries including `The War you Don’t See` on Saturday 1st December and `The Last Dream, Other People’s Wars` on Friday 7thDecember at noon and finally a closing keynote on Sunday 9th December with John in conversation with Robert Love, Director of City of Parramatta’s Riverside Theatres.